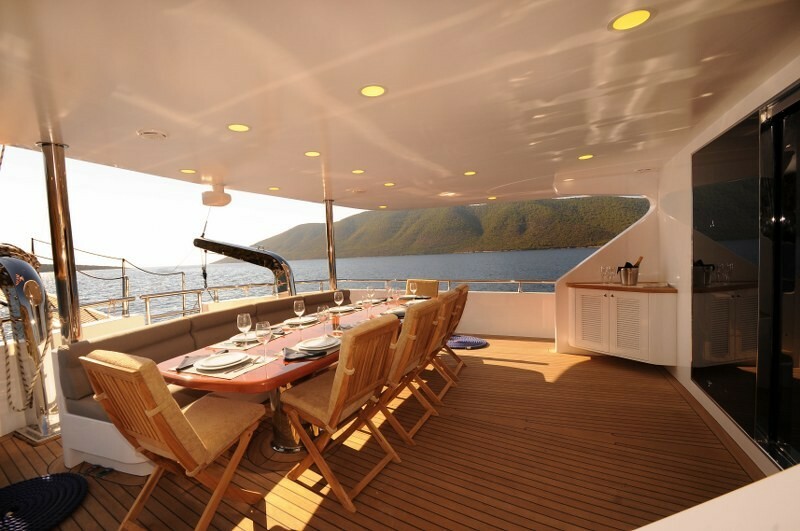 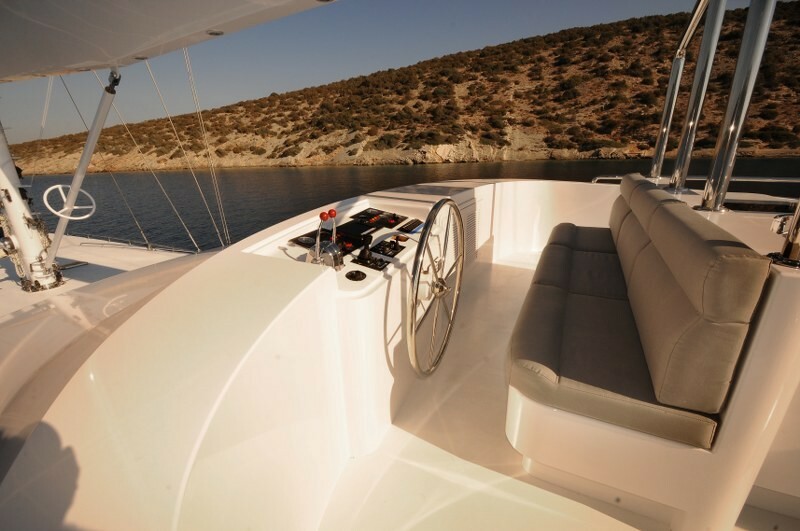 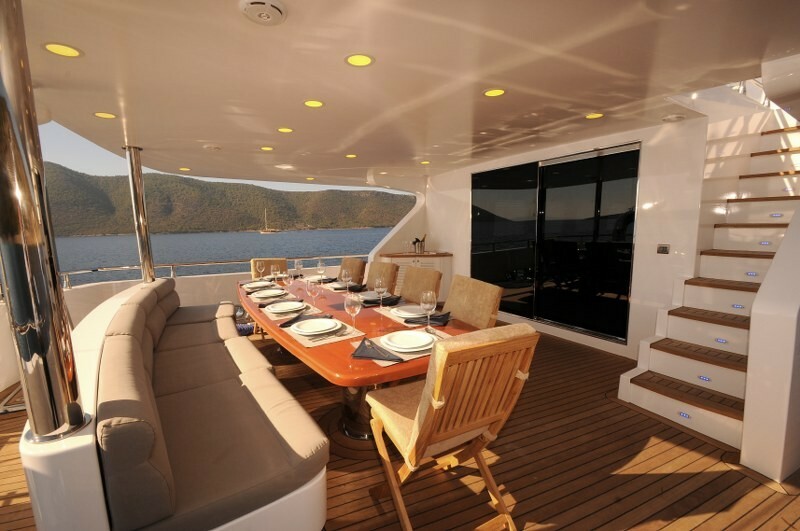 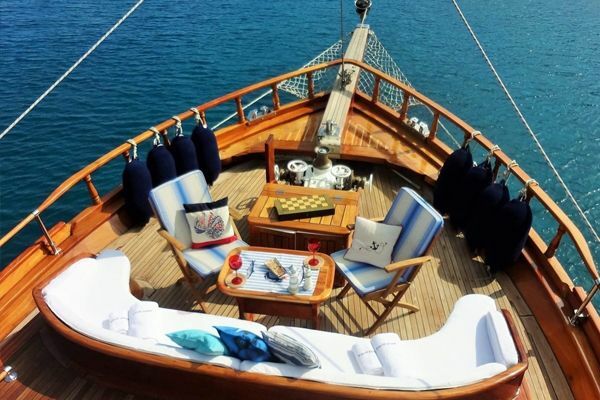 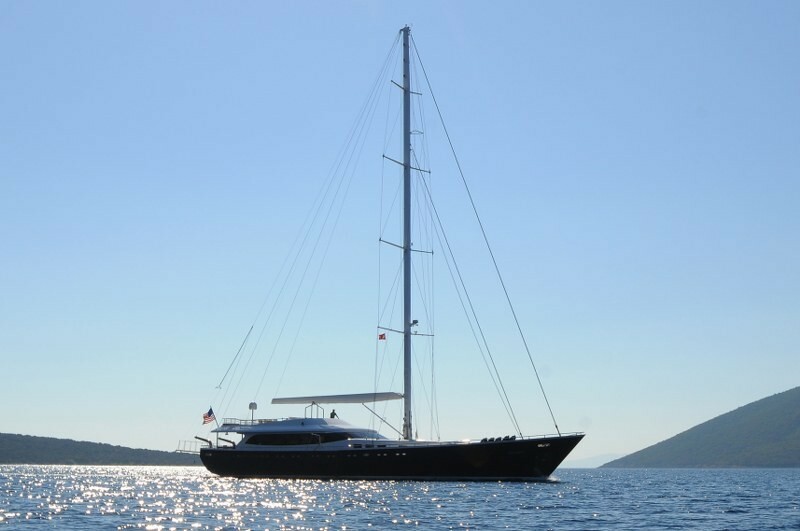 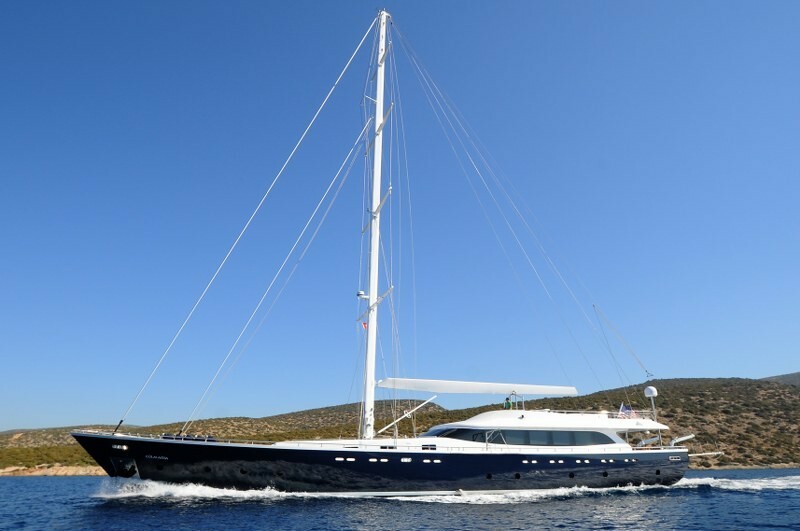 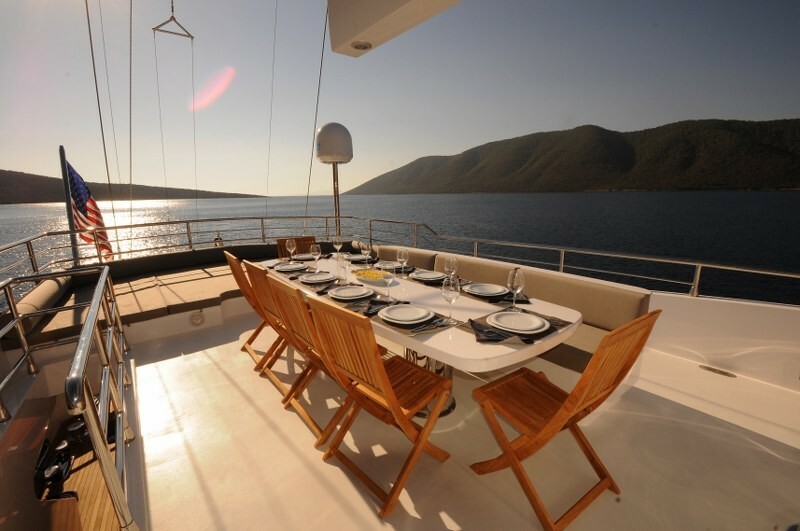 The very new super VIP gulet Gulmaria is super modern, elegant and luxurious. 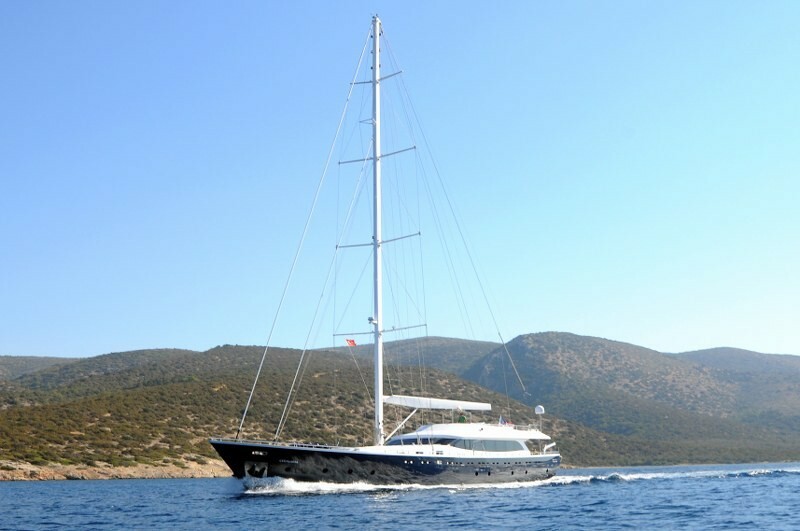 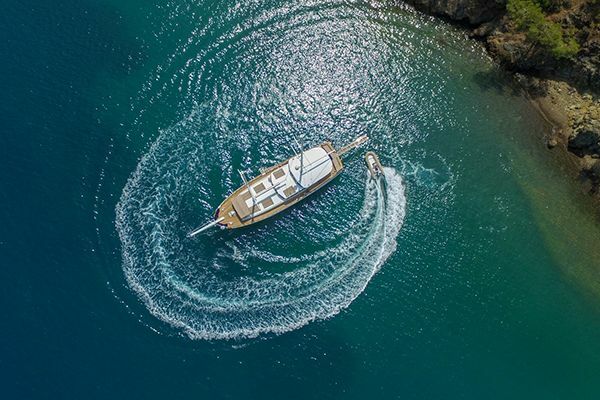 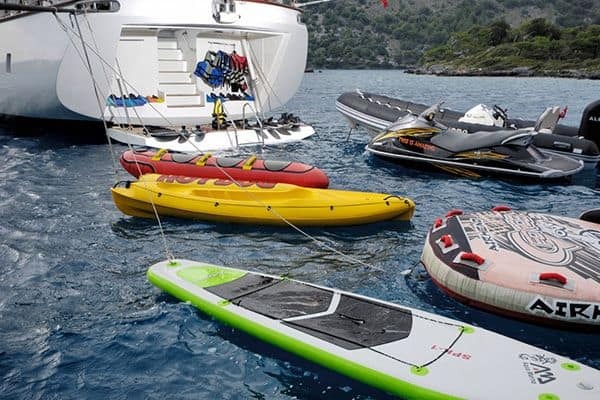 With technology to match in sailing, equipment and motor performance, and superbly professional and hospitable service and care by the crew, the exclusive yacht Gulmaria offers a memorable gulet cruise holiday on the Mediterranean coast of Turkey or amongst the Greek Islands. 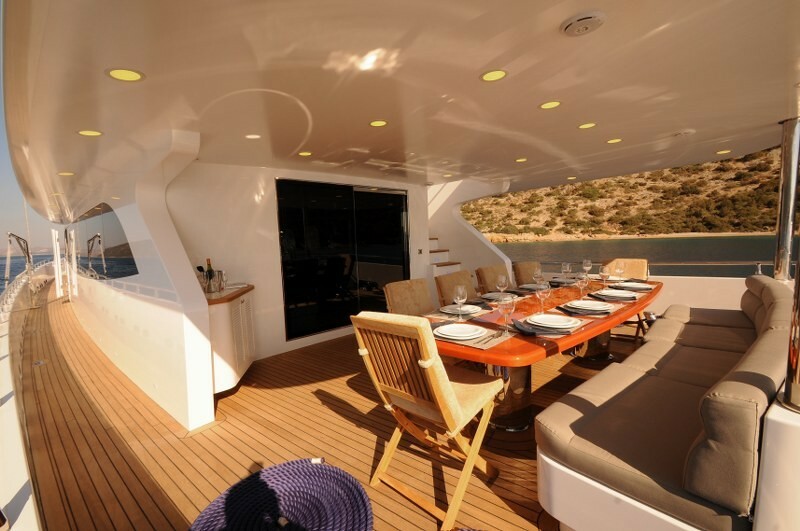 The design of the interior and exterior spaces ensure different areas for relaxing, dining and comfort, with great ease of movement between decks. 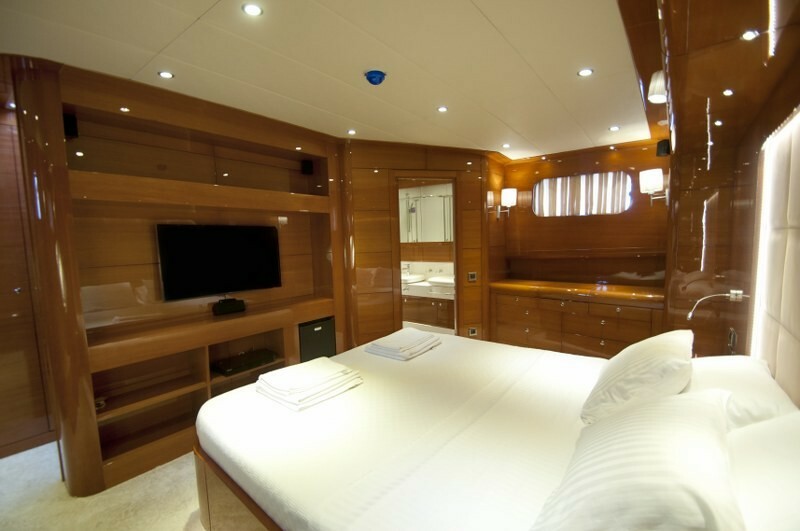 The six cabins enjoy ample space and comfort, all air conditioned with their own en-suite bathrooms, TV/DVD and music system, and minibar. 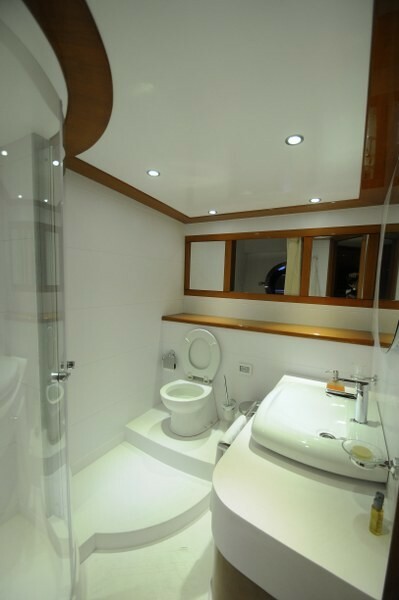 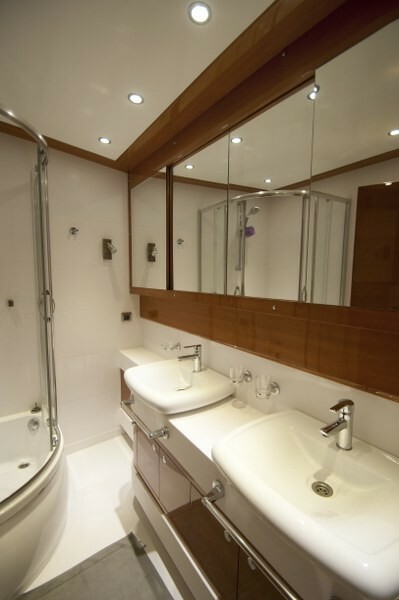 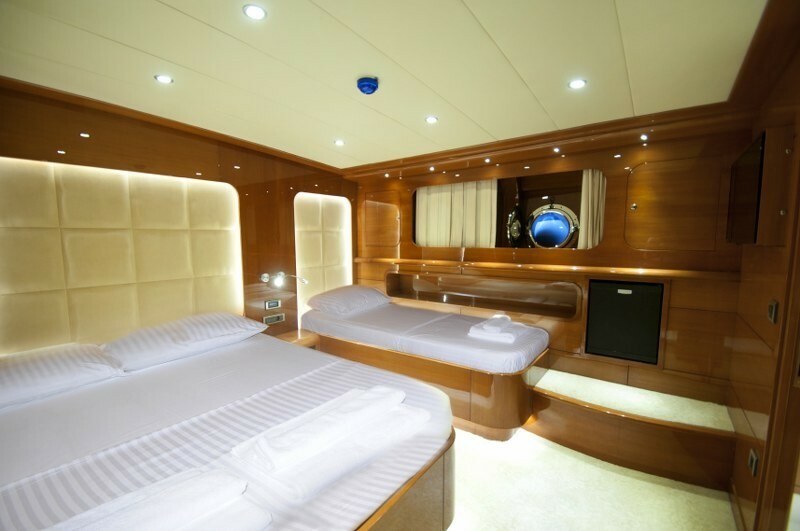 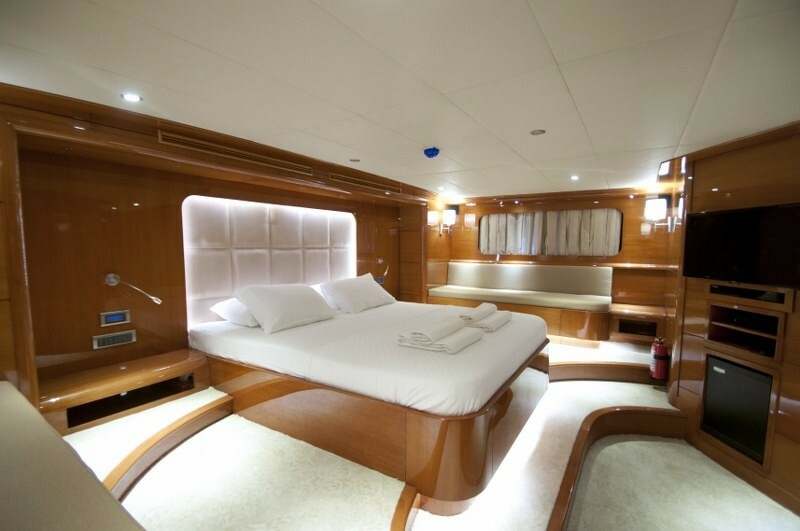 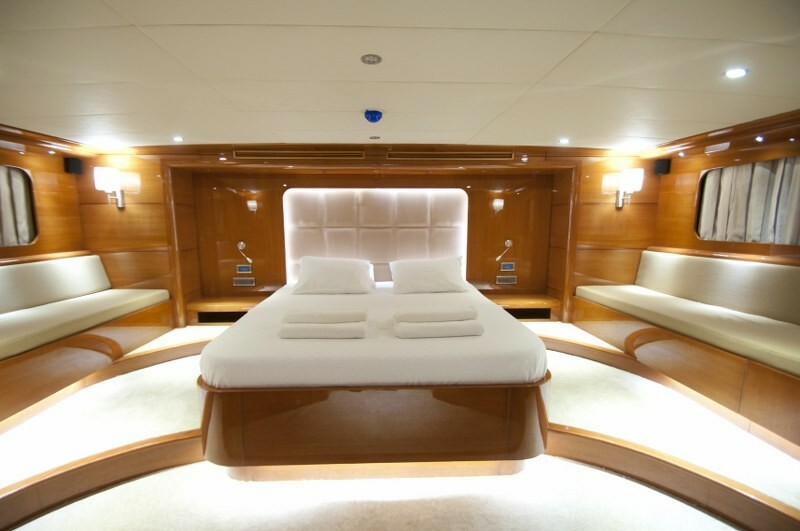 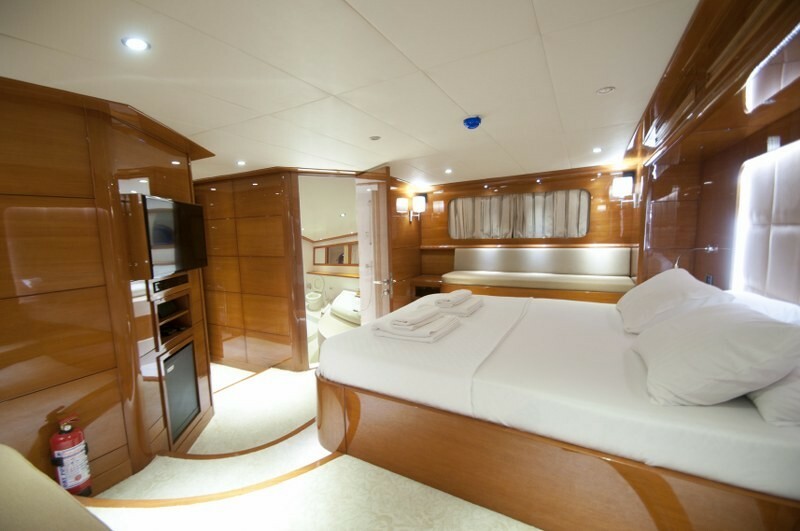 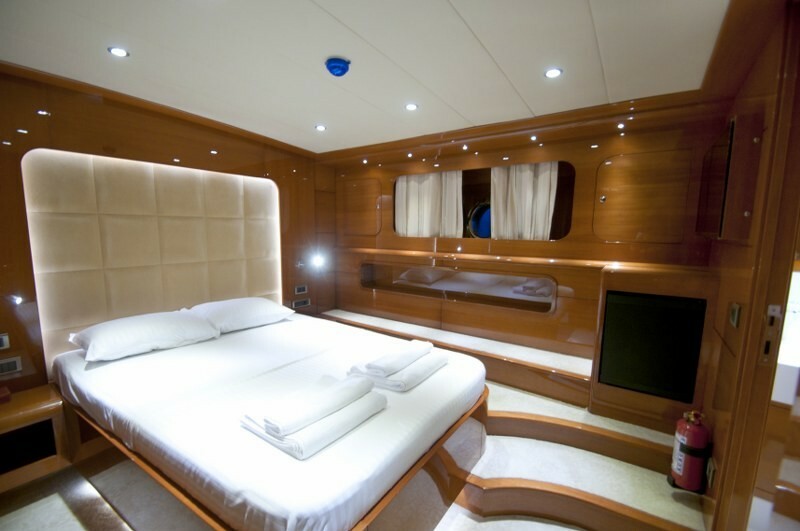 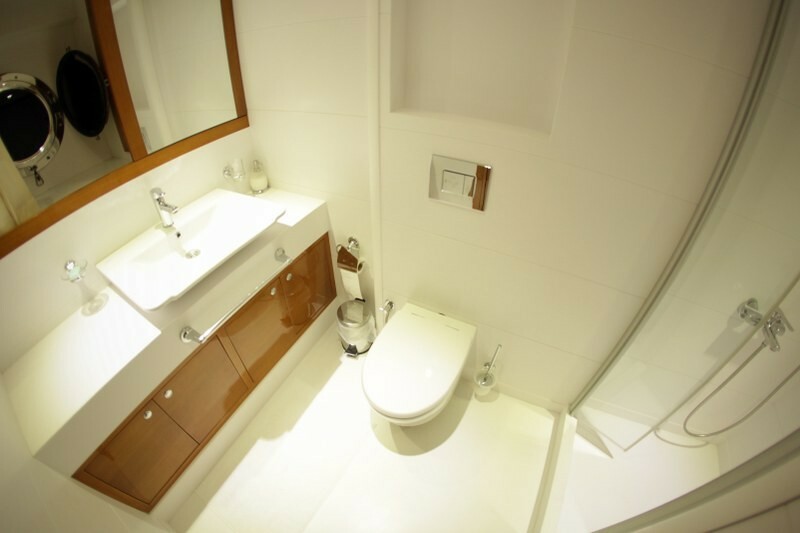 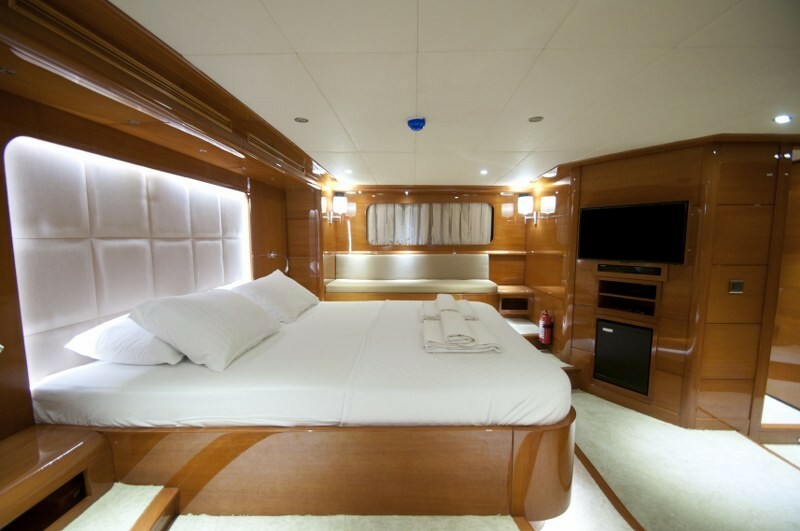 The use of the full width of the beam affords both the forward master stateroom and the aft VIP stateroom generous space for the central king-size bed, side sofa, vanity desk, robes and ensuite. 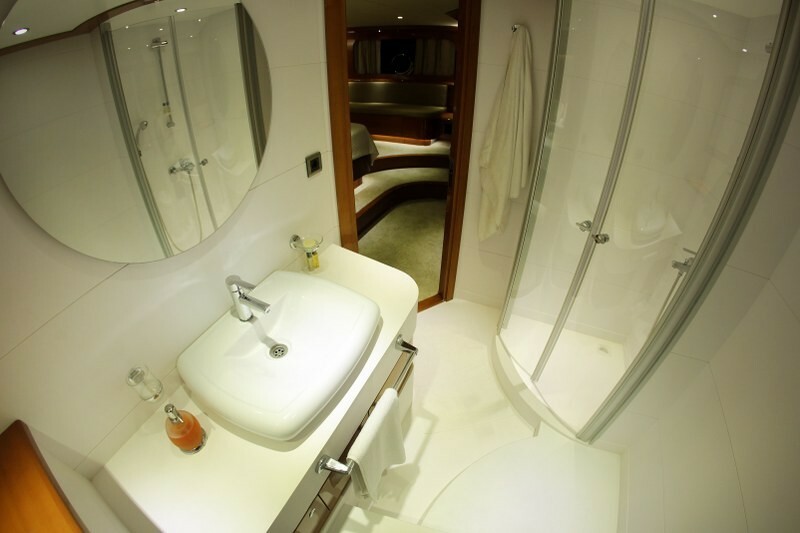 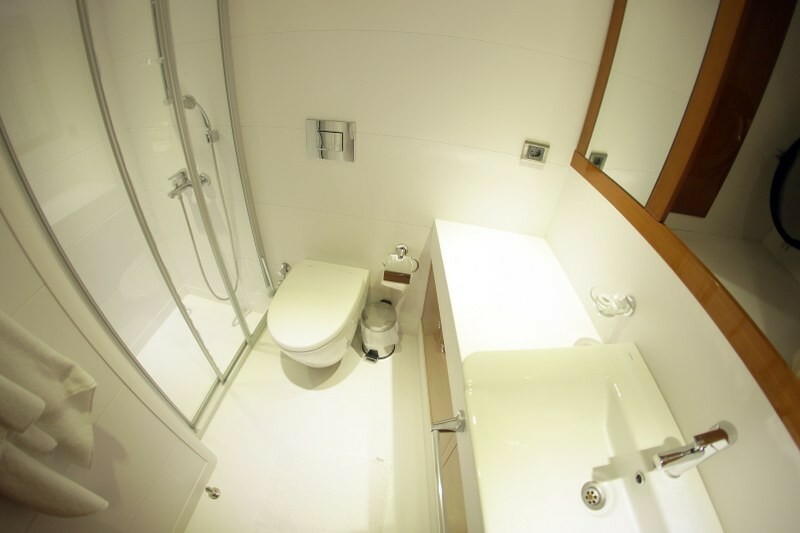 The two regular double bed cabins and two triple (one regular double bed plus one single bed) cabins also enjoy space and comfort with all amenities. 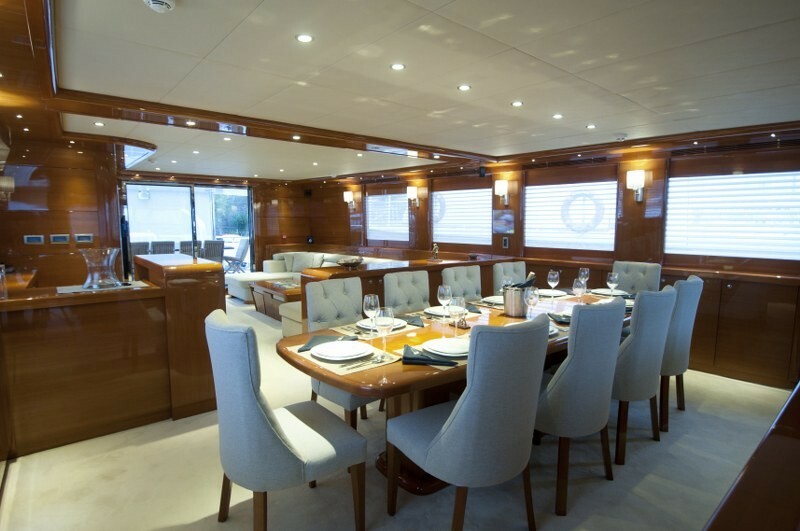 The substantial and elegant indoor saloon offers separate dining and entertainment zones complete with plasma TV, DVD, music and internet connections. 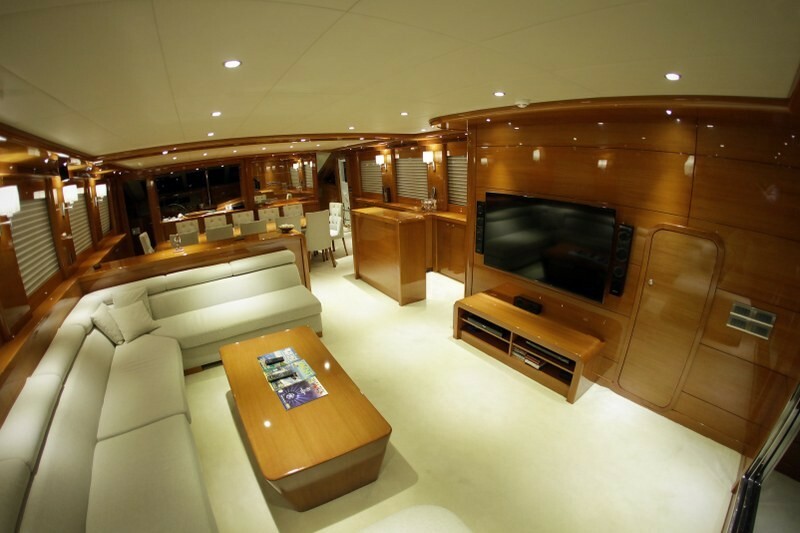 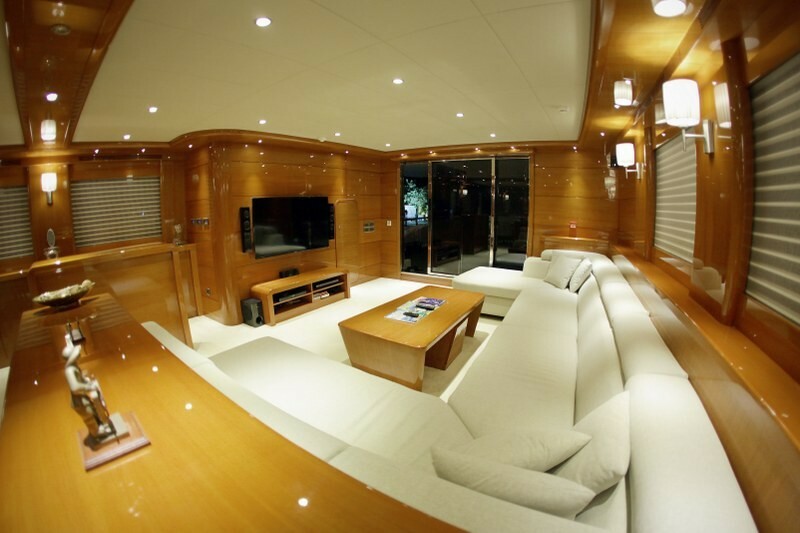 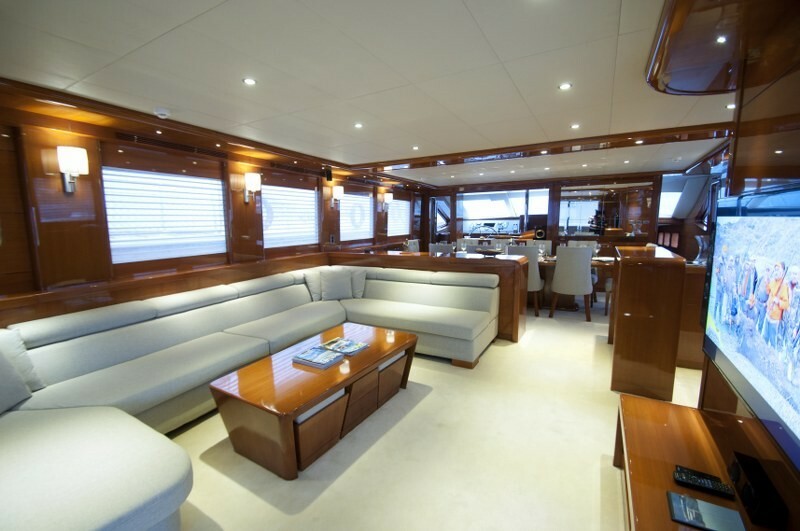 The elegant decor of smart white furnishings and carpet set against the polished cherry wood walls, offers discretely luxurious and light-filled surroundings on the Gulmaria yacht. 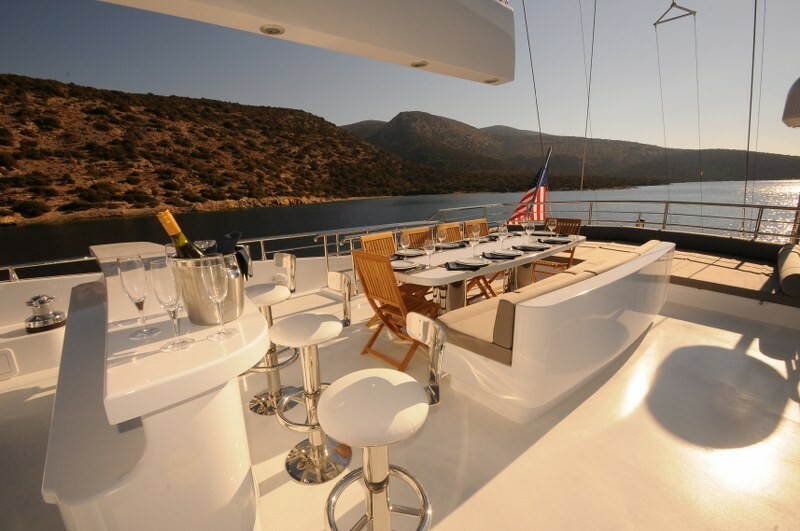 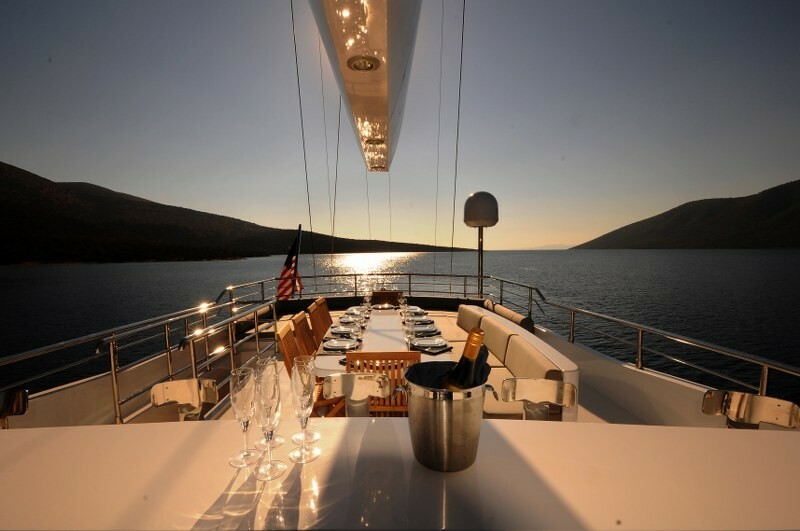 The decks lend more space to relax, dine and entertain, with a dining table on the aft deck shaded by the fixed awning, and the fly bridge deck offering the chance to dine under the stars, with a full wet bar installed for guests’ ease. 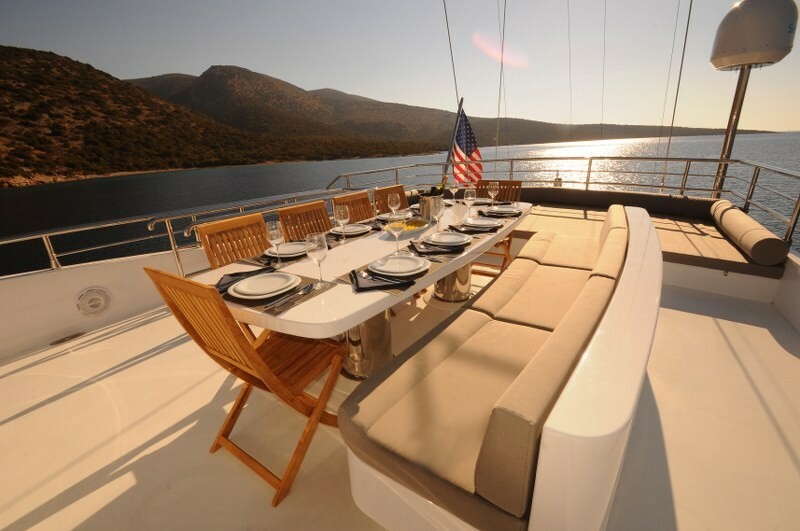 Expansive sunpad areas will warm every sun worshipper’s heart, while the active are able to use the gulet as a platform for all the fun possible in the clear turquoise seas around the yacht with the extensive array of water toys available: ringo, waterskis, wakeboard, canoe and snorkels.Fully equipped galley and housekeeping area, and crew quarters are separate. 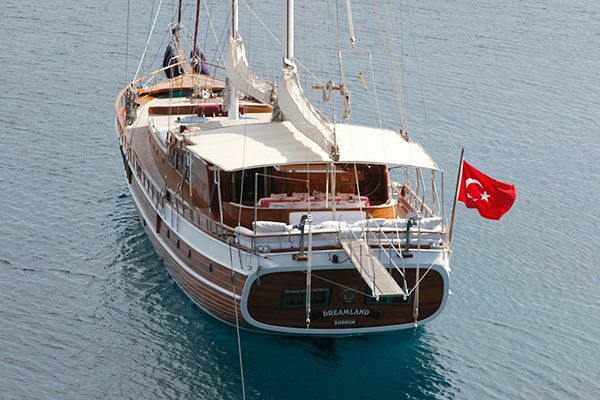 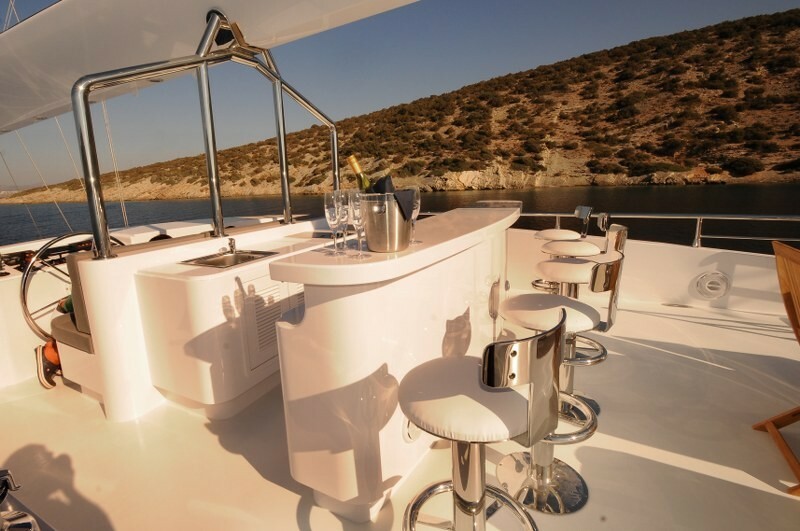 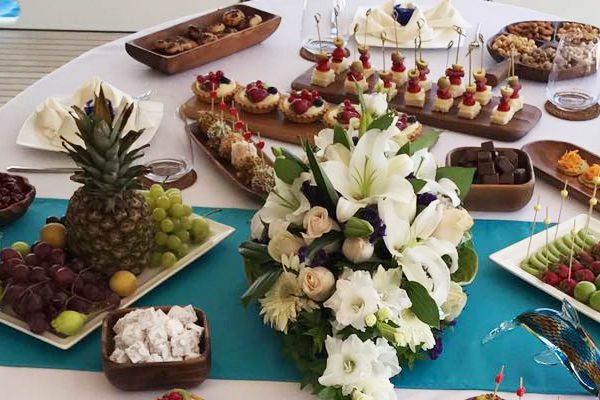 The Captain, chef, hostess and three crew ensure that all guests enjoy the top level service and comforts aboard the sailig yacht Gulmaria for an unforgettable luxury gulet holiday on the Aegean.